Without an online presence of your business, you are losing potential customers as well as maximum reach. You cannot just overlook the importance of your business website in this tech-driven era. Gone are the days when you needed to know coding and development skills to develop a website for your business. You can develop a fully responsive and professional business website within a matter of time using WordPress themes. And with the availability of free WordPress themes, you don’t need to spend a single penny on creating a business website for your firm. Interesting, isn’t it? If you are still stressed about from where to get perfect business WordPress themes for your website, then it’s time to drop off your stress. We have come up with a list of 20+ free responsive business WordPress themes for you. You can create a fully functional business website with these themes like a child’s play. All you need to do is select an appropriate theme from the list, download it and start making your website. 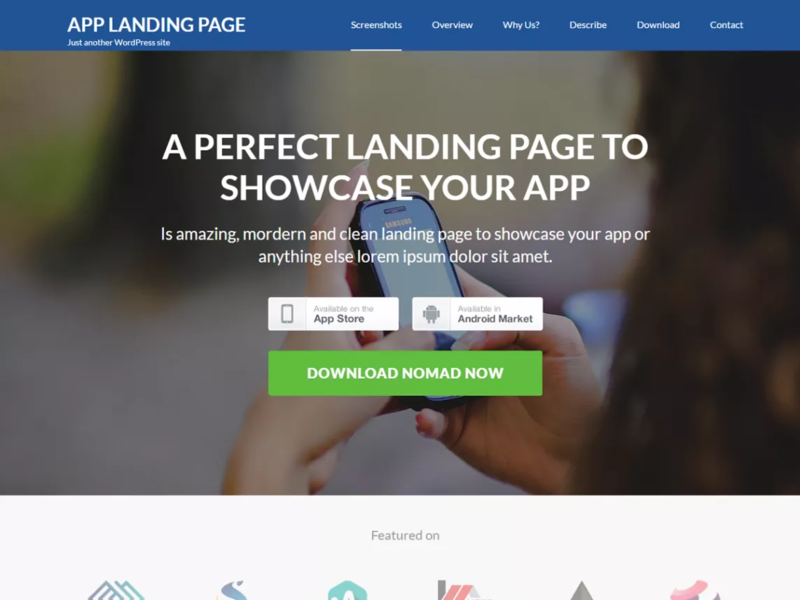 Corporate Landing Page is one of the best fully responsive free business WordPress theme. Designed by the efforts of experts, this theme comes with an elegant and beautiful layout to help you create a user-friendly business website. Along with its creative and eye-catching look, this theme is also compatible with WooCommerce plugin. You can sell your products and services online with the help of WooCommerce. Also, it is optimized for Search engines and provides integration with popular social media to help you gain more visitors to your website. Furthermore, Corporate Landing page helps you customize your website with its clean and commented codes. Plus, it comes with various designs and layouts to choose from. This theme also gives you the option to select from different fonts and unlimited colors. Business One Page is the perfect solution for them who wants a one-page website for their businesses. This theme is crafted beautifully to provide an elegant and unique look to your site to generate higher leads. This theme comes with a clean and beautiful layout to help you design a professional website for your business. You can include different sections such as portfolio, services, team, and testimonials on different parts of the landing page. Plus, it is a highly customizable theme which lets you design your website as per your wish. Furthermore, this theme helps you beautifully showcase your business via your website. If you are planning to set up an online store for your shop your business, then Hypercommerce free WordPress theme can be the suitable choice. This theme provides a beautiful and attractive layout to create an online store. The creative design and eye-catching look tempt any viewers to buy the product as soon as the land on the website. It is a fully responsive theme which adapts any screen sizes smoothly. Plus, it comes preloaded with unique features to help your website stand out of your competitor’s site. It features clean and commented codes to allow easy customization to the website. Also, this theme is compatible with all major browsers and displays smoothly irrespective of the browser type. 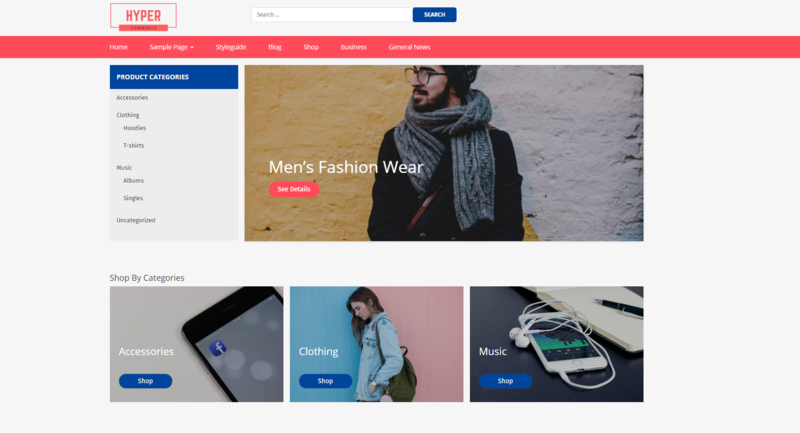 With Hypercommerce WordPress theme, you can create an e-commerce site in a very short span of time without any coding knowledge or experience. Also, its professional design helps you establish your store as a brand authority. 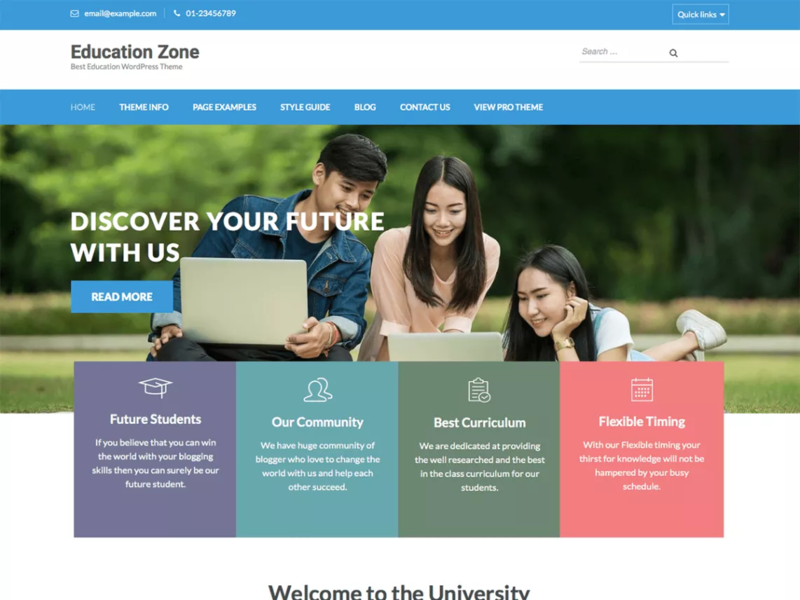 Education Zone is a clean, beautiful and professional WordPress theme helpful to create an educational institution website. This theme can be a perfect choice for kindergarten, schools, colleges, university, training center, LMS and other educational institutions. It is a highly customizable theme which helps you to customize your website as per your wish. If you still feel that you cannot design or personalize the site yourself, then it comes with extensive documentation with step by step guide to help you develop your website. Furthermore, it is SEO and speed optimized to help your website climb heights in search engine rankings. With the unmatched features and multiple customization options, you can expand the reachability of your institution and get the maximum number of students. Travel Booking is a free WordPress theme helpful to make websites for tours and travel operators. This theme allows you to add trips, trip types, destinations, highlight the special trips or activities and even allows visitors to book the trip right away. This theme is elegantly designed and comes with attractive features to generate higher sales. It is fully compatible with WooCommerce and WP Travel Engine plugin, a popular travel booking WordPress plugin. Furthermore, this theme is speed and SEO optimized along with Schema friendly to achieve better ranking in Google and other search engines. 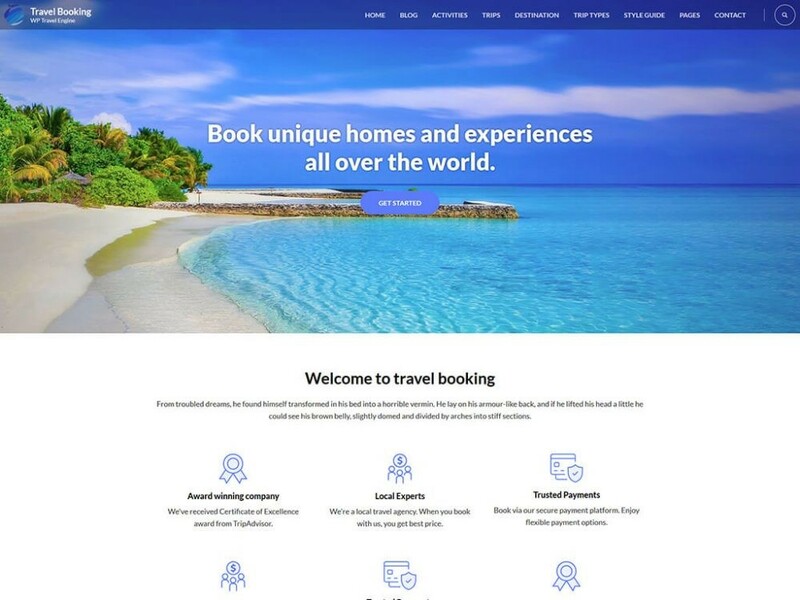 You can create a fully functional travel booking website with this theme without prior knowledge or experience of coding. Rara Business free theme is a perfect WordPress theme to create corporate and business websites. This theme is suitable to make websites for small businesses like travel, education, hotel, construction and even online firms and agencies. Rara Business is a fully responsive and mobile-friendly theme which adapts any screen size smoothly. With this theme, you can build a fully functional business website without any prior knowledge or experience of coding. 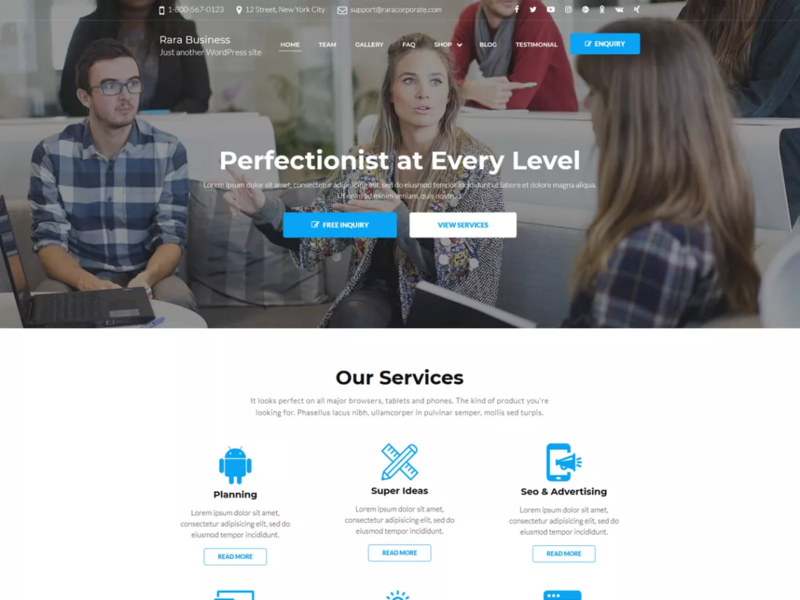 Furthermore, this theme features an attractive layout and professional design with lots of useful sections which helps your website stand out from your competitors. 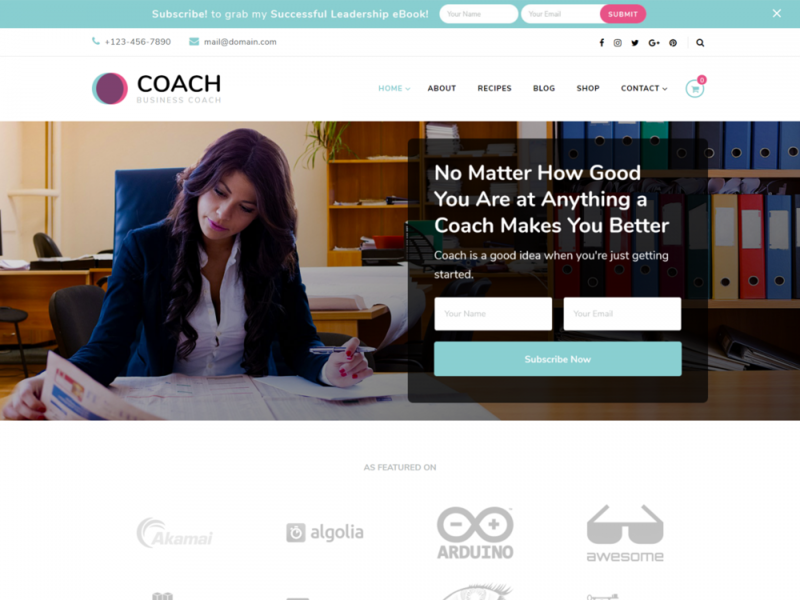 Blossom Coach is a fully responsive free theme designed to build websites for coaches, speakers, mentors, and therapists. It is a feminine WordPress theme which helps to create a stunning website with this theme without any prior knowledge of coding. This theme comes with unique and attractive features to help you highlight your services and gain more customers. Furthermore, it is a multipurpose theme with which you can create a business as well as corporate websites. Plus, this theme is also Schema.org compatible, SEO friendly, speed optimized, RTL compatible and translation ready. With the number of included features, you can make a valuable online presence with this theme. 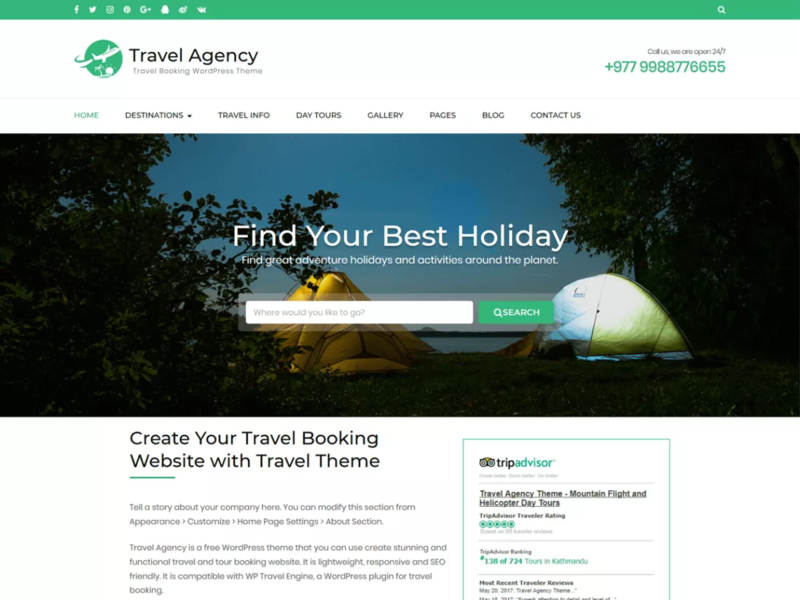 Travel Agency is a free WordPress theme helpful to create travel booking websites for tours and travel companies and operators. This theme allows you to add trips, destinations, trip types, highlight specialties and even allows the visitors to book the trips right away. This theme comes with excellent and interactive layout which provides a stunning look to your website. The stunning look and design of your website will make the visitors feel like already being on the trip. Besides the travel booking website, you can also create a travel blog, hotel, spa and car booking website with this theme. This theme comes with SEO friendly codes and is speed optimized to help your website get listed at the top in search engine results. 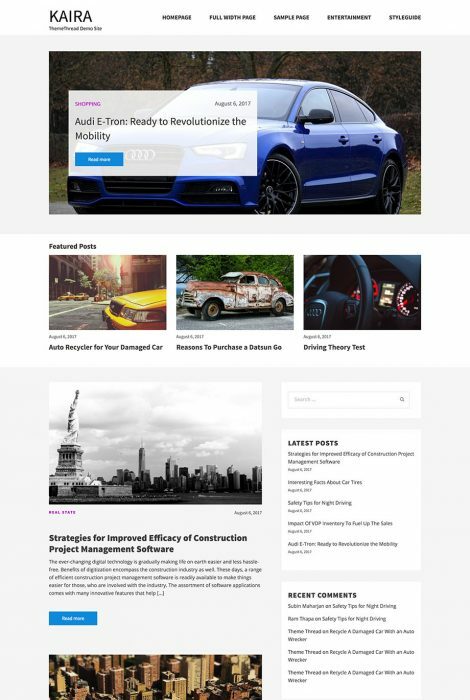 Construction Landing Page is a fully responsive free WordPress theme helpful to create an online presence of construction and building related companies. This theme provides an impressive interface with a contact form on the landing page for generating higher leads. 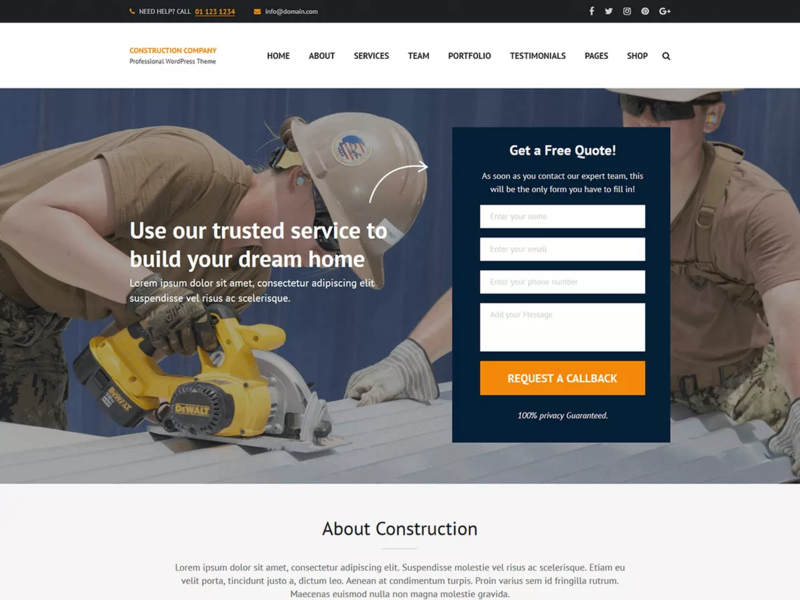 This theme can be a perfect choice to create websites for constructors, builders, interior designers, landscapers, architects and other construction-related companies. This theme features a great design on the front-end and easy to use CMS on the backend to help you manage the website. Also, it is speed and SEO optimized to improve your website rank high in Google and other search engines. Furthermore, it is cross-browser compatible and displays your website beautifully on any screen or device. 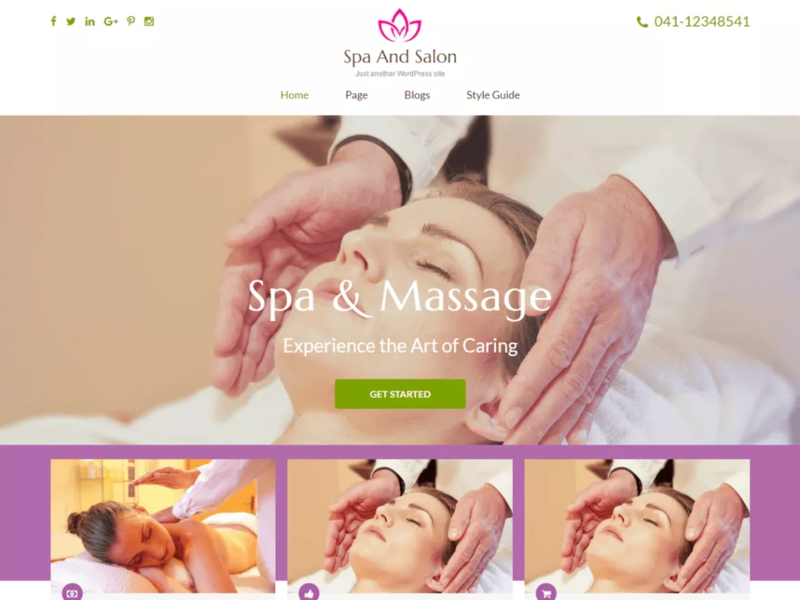 If you are running a spa, salon or beauty firm and want to create an online presence, a Spa and Salon free theme can be the best choice for you. This theme is beautifully crafted to showcase your services. This theme can be a perfect choice for salons, spa, beauty parlor, yoga studio, physiotherapy as well as other businesses. This theme comes with multiple useful features to help you create a stunning and interactive website for your business. Also, the theme features three footer widget, right sidebar and various custom widgets for favorite posts, recent posts, social media and featured posts. Furthermore, this theme comes with built-in customizer which allows you to customize website as per your desire. Also, it is translation ready and WPML compatible which helps you to make the website in your local language. 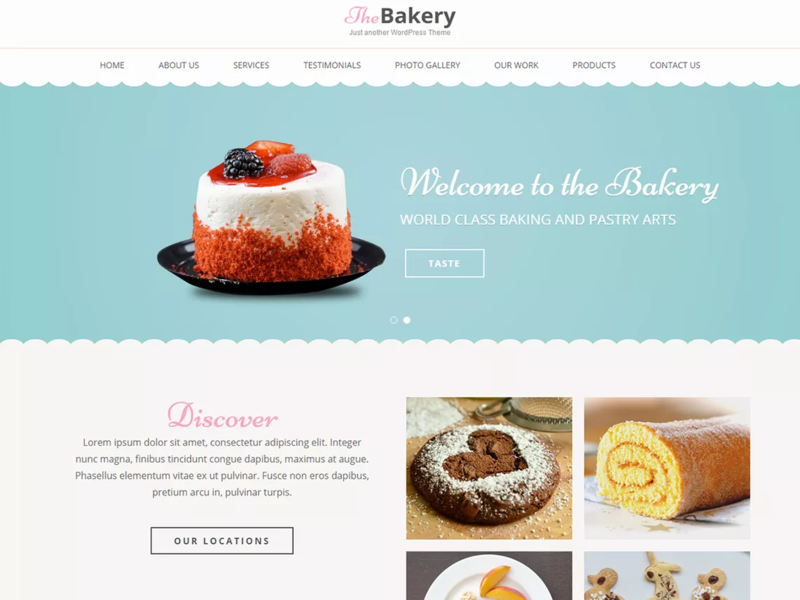 Bakes and Cakes is an incredibly designed free WordPress theme to show our gratitude to all the bakers who have filled our lives with tasty and delicious bakery items. It is a fully responsive and mobile-friendly theme to showcase your website beautifully on any device or screen size. Bakes and Cakes free theme offers various features various options to make your website eye-catching, interactive and visually stunning. This theme is developed with clean and commented codes and is optimized to achieve less loading time. Furthermore, it is WPML compatible and translation ready to help you create a website in your regional language. This theme is crafted with elegant design to keep visitors engaged on the website and help you increase sales. Lawyer Landing Page is a free WordPress theme helpful to create a portfolio for lawyers, attorneys, and law firms. This theme provides multiple features to help you create an interactive, user-friendly and visually attractive website. Some of the included features of this theme are an attractive banner with a contact form on the landing page, a banner with a call to action button and social media integration. Also, it provides you an option to include various sections such as team, services, portfolio, testimonial and FAQ sections on the homepage. 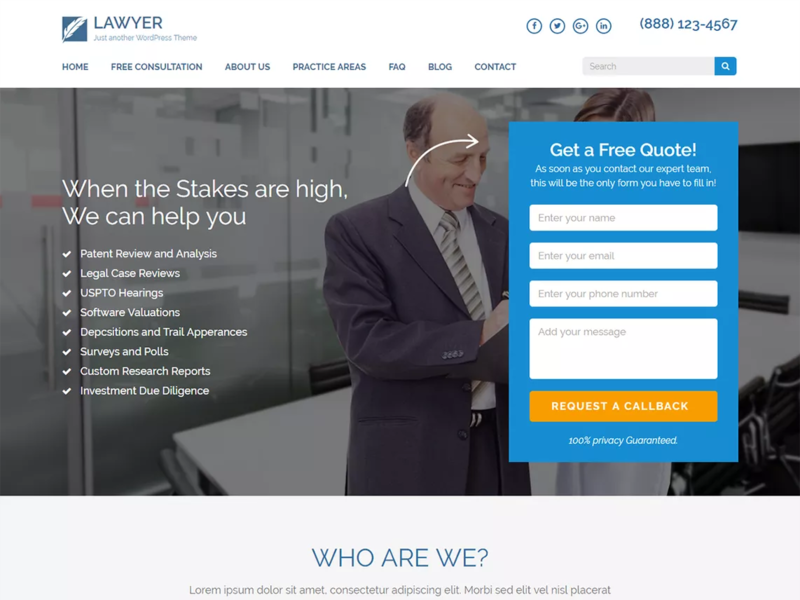 Furthermore, Lawyer Landing Page is designed with visitor engagement to generate higher leads for your services. Also, it is speed and SEO optimized to help your website climb high in search engine ranking. 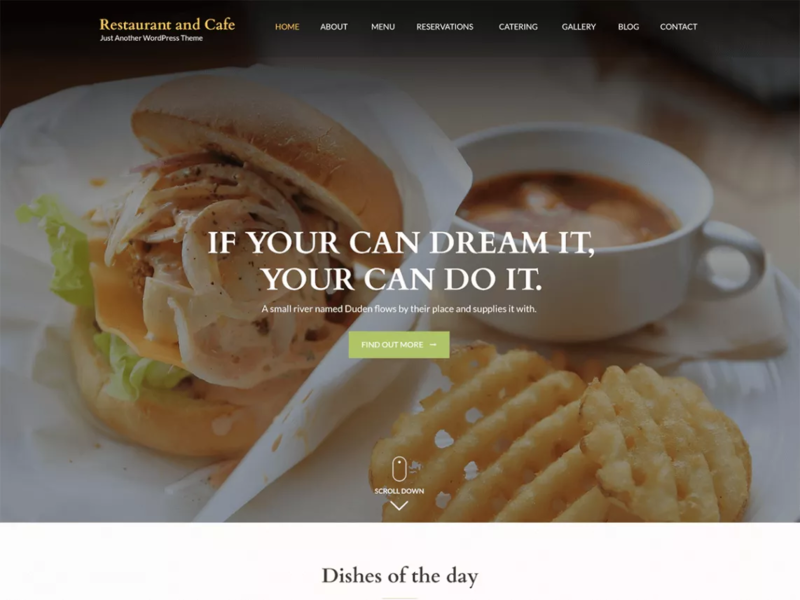 Restaurant and Cafe is a free WordPress theme to create an online presence of a restaurant, coffee shop, bakery or any food or drink related business. This theme will provide your customer an excellent user experience to make them book table or order food right away. This theme features a banner section with a call to action button, featured section, about section, testimonial, reservation, and blog section to give your website a professional look. 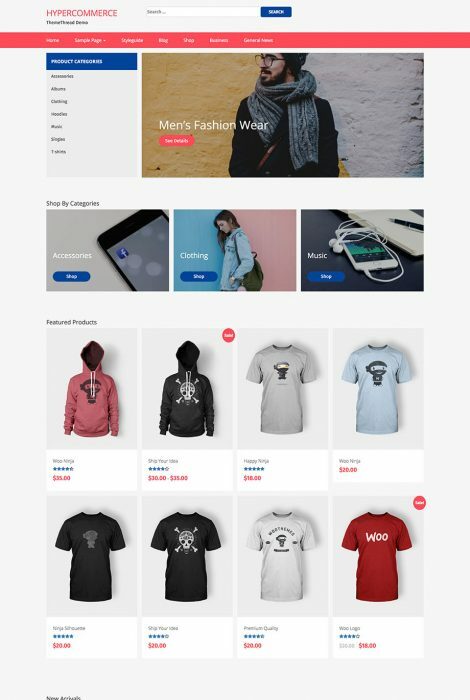 This theme is fully compatible with the WooCommerce plugin to help you sell your products online. Also, it comes with various sections at the homepage such as restaurant menu, featured, about, service, testimonial, reservation as well as blog section to give your website a professional look. 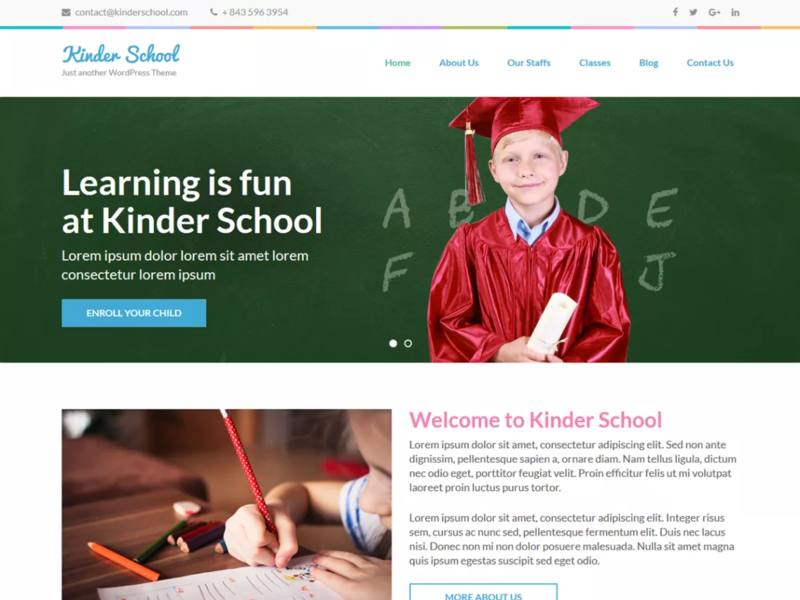 Preschool and kindergarten is a fully responsive and free educational WordPress theme designed to make websites for schools, kindergartens, elementary, primary schools, colleges, universities and other educational institutions. It is a flexible and versatile theme which can be used to create different businesses and corporate websites. This theme is highly customizable and comes with numerous features and personalization options. Furthermore, it is developed with SEO clean, secure and SEO friendly codes to obtain faster load time and higher ranking in search engine. Preschool and Kindergarten free theme can be a good start to create an online presence for your educational institutions. Pranayama Yoga is a free WordPress theme useful to create a beautiful website for Yoga Studio. It is a fully responsive and flexible theme which can also be used to create different business, corporate and creative websites. This theme is developed with SEO friendly codes and is optimized for fast loading of the pages. Also, it features various interactive and user-friendly features to help you create a visually stunning website. Furthermore, it comes with built-in customizer to allow you to customize your website as per your desire with live preview. Plus, it is translation ready and WPML compatible which helps you make your site in your regional language to attract local customers. This theme is developed with a professional design to keep visitors engaged on your website. 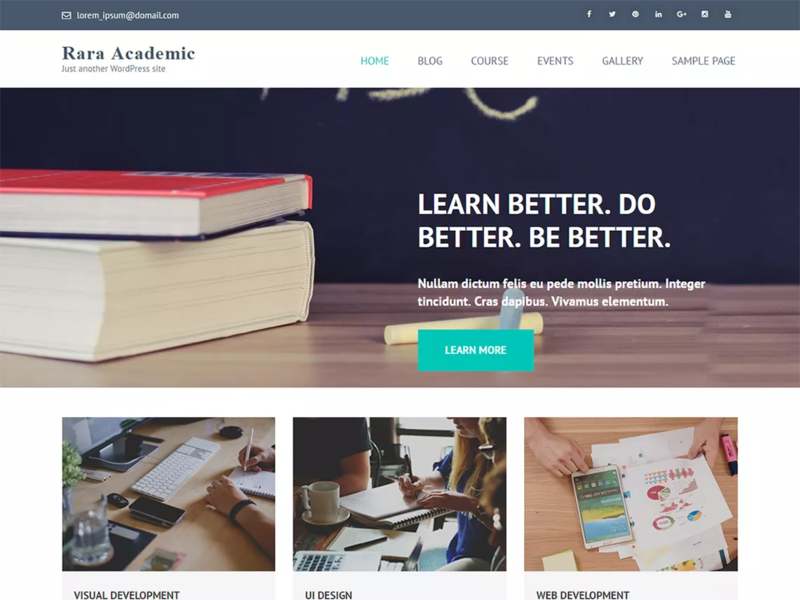 Rara Academic free theme is a beautifully designed free WordPress theme for educational institutions like schools, colleges, universities and other LMS centers. You can create a professional WordPress website with this theme without any prior knowledge and experience of coding. It is a versatile and flexible theme which can also be used to create business and corporate websites. Also, it features different sections such as courses, testimonial, call to action and social media section to provide a complete professional look to your website. Furthermore, this theme is developed with clean and commented codes to help you customize the website whenever you need. Also, it is WPML compatible and translation ready to help you make your website in the local language. 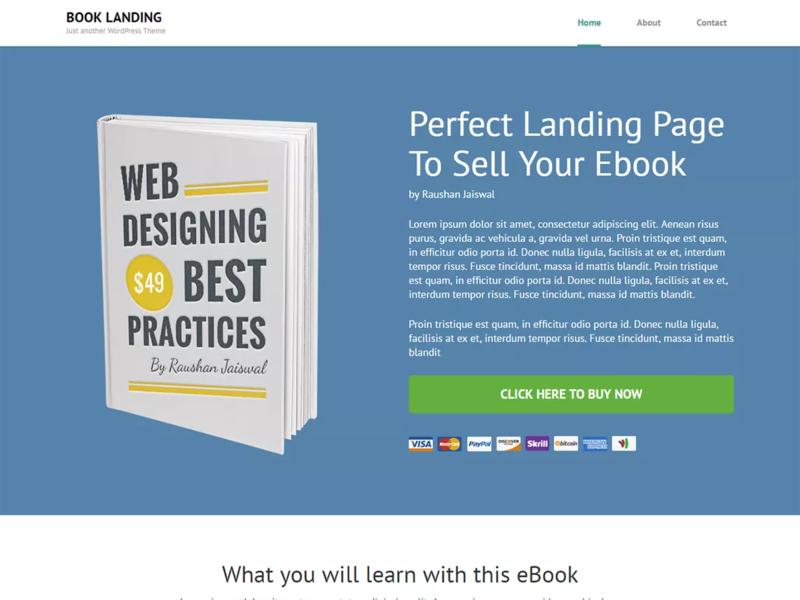 Book Landing page is a free WordPress theme helpful to create a landing page for your book. This theme is designed to generate higher leads to sell your book. You can create a professional website with this theme without coding skill. This theme helps you to market your book and increases its reach to the maximum number of people. It is a fully responsive and mobile friendly theme which displays smoothly on any device or screen sizes. App Landing Page is a beautifully designed free WordPress theme to showcase your upcoming mobile application attractively and appealingly. This theme comes with an attractive design to help you generate higher leads and downloads of your website. You can create a professional website with this without any prior knowledge or experience of coding with this theme. It is easy to use, fully responsive and SEO optimized theme which helps your website climb heights in search engine ranking. 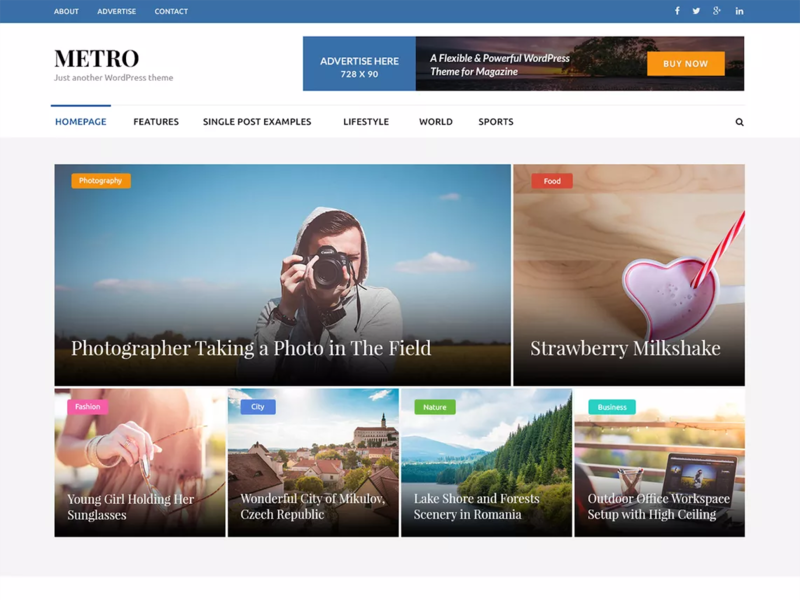 Metro Magazine is a fully responsive free WordPress theme for a newspaper, magazine, publisher house and other business websites. This theme comes with a number of features to help your website stand out of your competitor’s site. Also, this theme lets you easily customize your website with the built-in customizer which comes included with the theme. Plus, this theme provides with the option to change the color of the entire site with a single click. Furthermore, it is SEO and speed optimized to help your website rank high in Google and other search engines. Some of the included features are custom widgets, social media integration, translation ready, breadcrumbs, advertisement settings, custom CSS and author bio option. 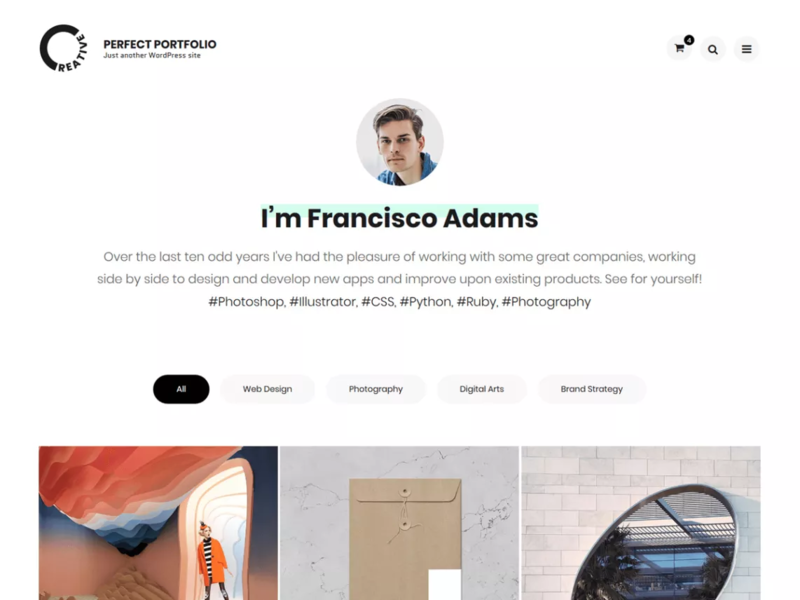 Perfect Portfolio is an elegantly designed free WordPress theme useful to freelancers and agencies to showcase their works and achievements. This theme comes preloaded with various useful features to help you get more customers. It is a fully responsive and mobile-friendly theme which adapts any screen size smoothly. Also, it is speed and SEO optimized to help your website perform better than your competitor’s. 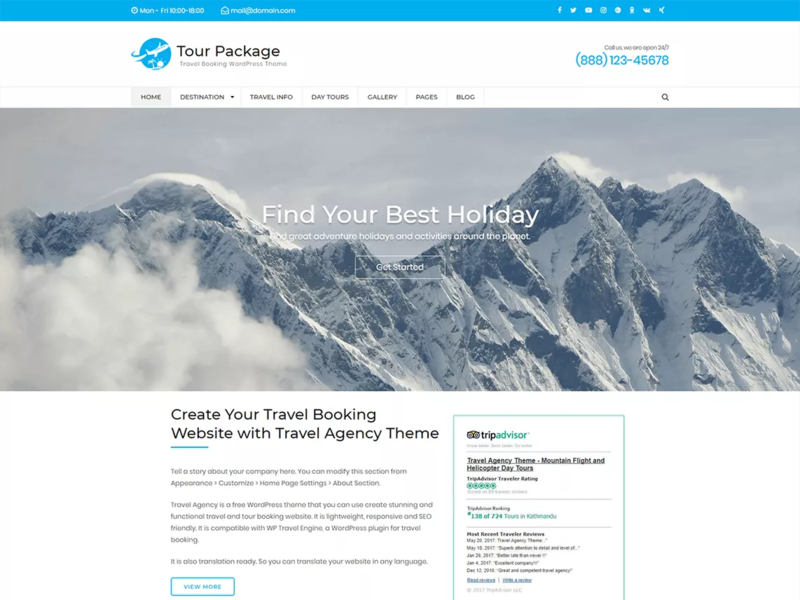 WP Tour Package is a fully responsive free child theme of Travel Agency theme. This theme is perfect for all types of travel and tours websites. It is fully compatible with WP Travel Engine plugin and allows you to add trips, add trip types, destinations, and feature travel activities. This theme comes with a beautiful and attractive design to make the visitors feel already being on a trip. Also, it is mobile friendly as well as speed and SEO optimized to achieve better ranking in search engines. It is a quite flexible theme which you can also use to create hotel booking, tour operator, tourism, transport and car rental websites. 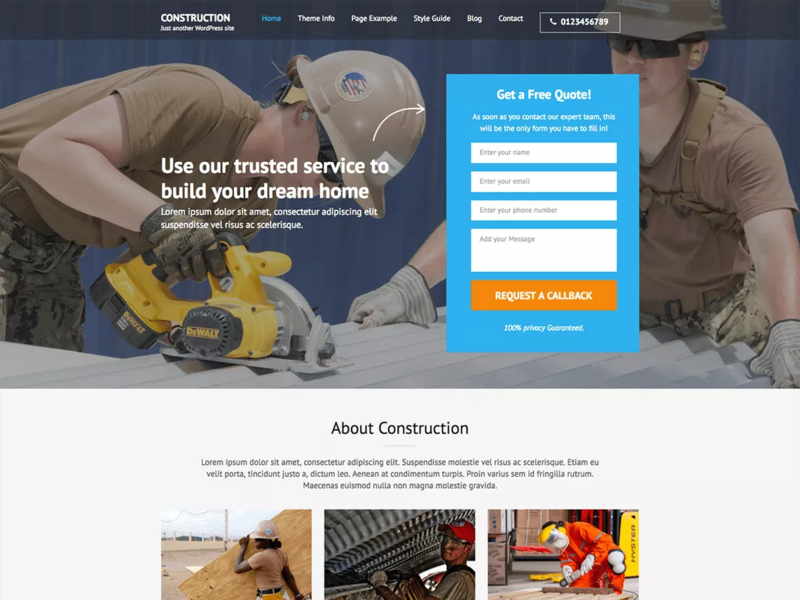 Construction Company is a free child theme of Construction Landing Page and is suitable for creating a website for construction and building companies. It is an elegantly designed, clean and fully-responsive theme. This theme comes with a contact form on the homepage to generate higher leads for the business. Also, there is a Call-to-Action button placed optimally on different sections of the website to convert the leads into clients. Furthermore, the theme includes various attractive sections on the homepage such as services section, contact form, testimonial section, client section, portfolio section as well as social media. Plus, it is a speed and SEO optimized theme which helps your website rank high in Google and other search engines. Despite being designed for construction companies, it is a quite versatile and flexible theme. It can also be used to develop various business as well as corporate websites. 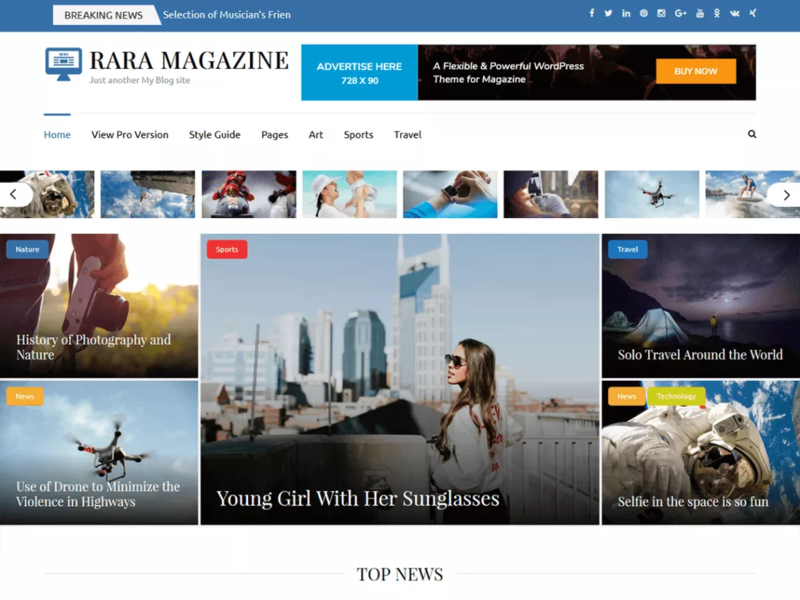 Rara Magazine is a free child theme of Metro Magazine WordPress theme. This theme is suitable to create websites for magazines, newspapers, publisher house and various food, travel, technology and sports blogs. You can create an attractive and eye-catching magazine website with this theme without prior knowledge or experience of coding. This theme provides you an option to change the look and feel of the entire website with a single click. Also, it is a highly customizable theme which comes with a built-in customizer to allow you customize website as per your desire. It comes with various easy to use and highly attractive features such as custom widgets, social media integration, advertisement settings, custom CSS, translation ready and many more. Furthermore, it is speed and SEO optimized theme to help your website climb heights in search engine rankings. The above is the list of 20+ free WordPress business themes. You can quickly create fully functional and professional business websites with these themes without paying any charges. You don’t require any experience or knowledge of coding to design a website with the above-given themes.